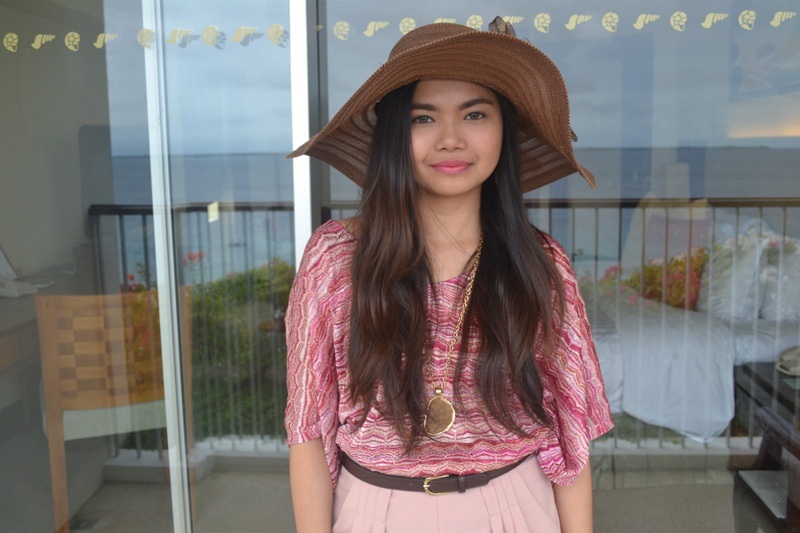 Instead of partying on the streets during Sinulog, we packed our bags last Friday and headed for Shangri-La's Mactan Resort & Spa. We've witnessed this grand annual mardi gras in Cebu City many times already and figured we would have a more relaxing time enjoying the sun, the sea and the sand. This is one of the advantages of living in Cebu. We can have beach get-aways whenever we want because the resorts are only 30 minutes away. We checked into our Panorama Suite, got settled in, changed into our swimsuits and proceeded poolside to sip mojitos while basking under the sun. Being on a beach holiday doesn't mean you're limited to casual t-shirts and denim cut-offs. Try adding some fun to your look by selecting more colorful and striking sartorial choices. 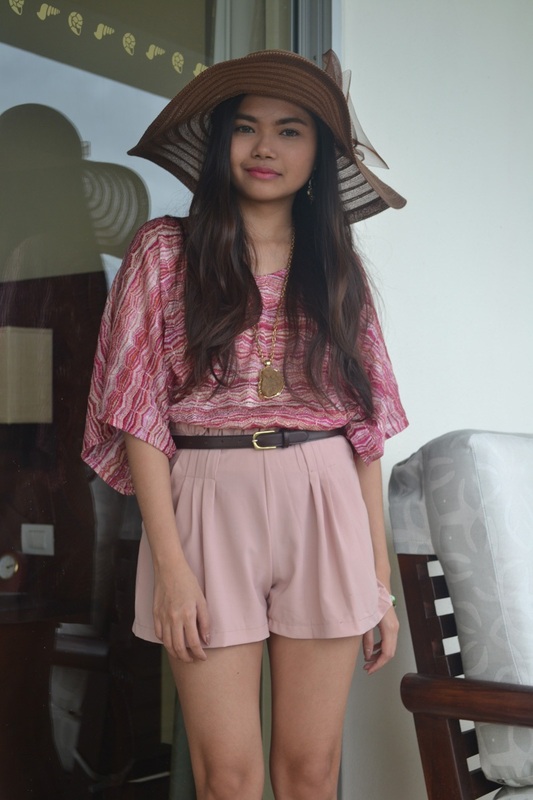 I opted for a bohemian-inspired outfit and wore a slouchy printed blouse with a pair of high-waisted shorts. To top it off, I picked out a brown floppy hat and taupe heels. 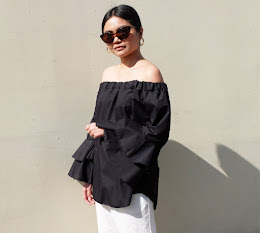 Btw, join my giveaway collaboration with MsDressy and have the chance to win USD $80 gift voucher!